Brilliant soap maker (soapsmith? soapist?) 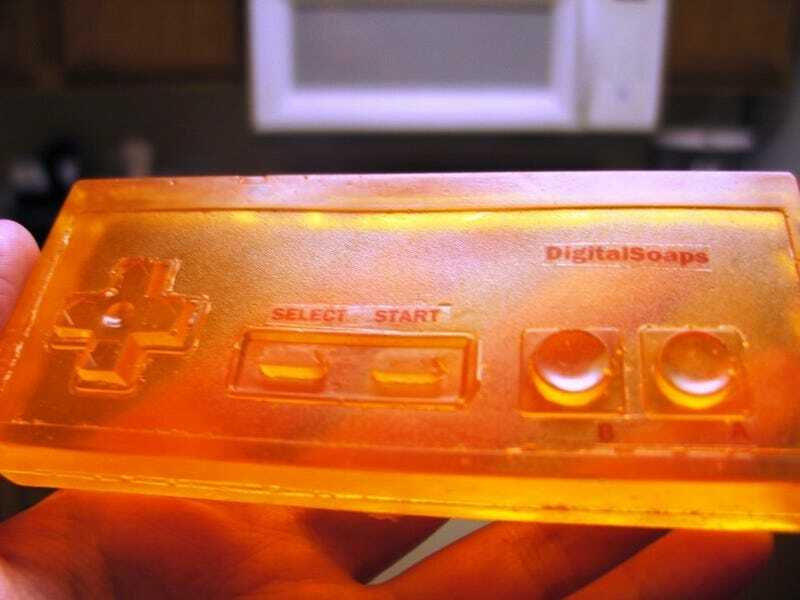 Digitalsoaps sells bars molded as gaming controllers. The blue olive oil NES controllers are sold out, but you can still get one in orange glycerine, or go for PlayStation.